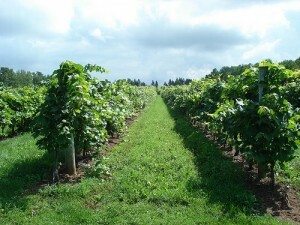 Grapes growing in a Malagash vineyard. Nova Scotia makes some exceptional wines. Visit one of the 9 wineries across the province and sample their wares. Will it be Jost Vineyards, where they’ve been selling Nova Scotian wine for over two decades, or perhaps a small producer in the Annapolis valley? It’s not just about grapes. Nova Scotia also makes fruit wines from apples, arctic kiwis, blueberries, cranberries, elderberries, pears and raspberries. Beer lovers won’t be disappointed either. Both Alexander Keith’s India Pale Ale and Moosehead Lager began here. Today, a number of microbreweries have joined the scene, turning out fine pints for beer lovers everywhere. Coffee is another drink central to life in Nova Scotia. We don’t grow the beans here but it’s hard to find a Nova Scotian who doesn’t start their day with a trip to the Tim Horton’s chain. Beware: the coffee here is widely believed to be highly addictive and there’s a special lingo to learn too. Do you know your double-double (a coffee with two creams and two sugars) from your timbits (small donuts)?